1. It’s easy: A big reason why going on a family cruise vacation is such a good idea is that it’s super easy to plan and do. You pay for everything in one price and don’t have to worry about any trip planning or separate bills. Food, drinks, accommodations, entertainment and more aer all covered under the same price. You also are getting a good value for your money, especially since many cruises have group discounts when you have more people on your trip. 2. Fun for everyone: Cruises are a great family vacation option because there is something for people of all ages to do on them. Almost all cruise ships have kids’ facilities that are split by age so all your children can have fun on their own, meet other kids and feel independent. Adults can spend their time hitting up the pool bars and relaxing at the spa. All ages have something to do on the trip and you don’t have to worry about struggling to plan an activity that will satisfy everyone. 3. Excursions: One of the best parts of being on a cruise is that you get to travel to beautiful destinations. Several days of your cruise will be spent getting to hop off the ship and explore an island or city. Bring your whole family for sight-seeing and wild adventures like scuba diving and surfing. You can plan your cruise around different destinations you want to hit up. Go for a tropical trip around the Caribbean or a romantic, historic trip around the coast of Europe. 4. Tons of activities: Even for the days where you stay on the ship, there are plenty of activities for the whole family to get involved in. 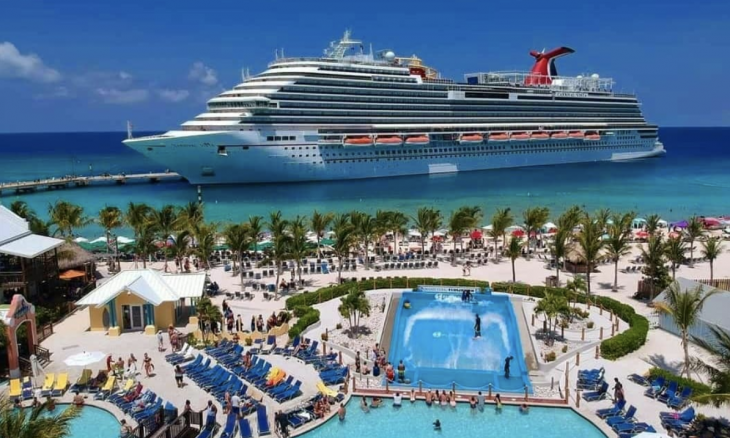 Cruises can have pools, waterslides, rock climbing, circus shows and plays, movie theaters and more. You’ll never get bored exploring everything your cruise ship has to offer. 5. Great service: Another great aspect of going on a cruise is that they have incredible service. You’ll be sure to get top service with housekeeping, food, entertainment and hospitality staff. Everyone working on cruises are experts in their fields and are there to make your time the best it can be. Have any other reasons you should take your family on a cruise vacation? Comment below!